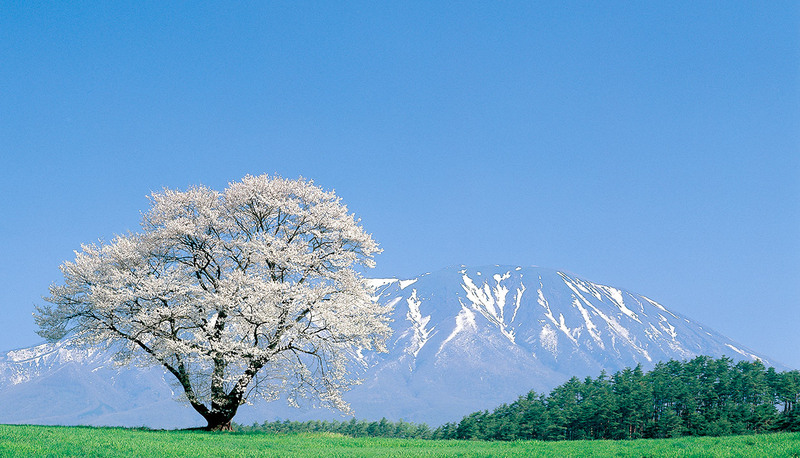 A lonesome cherry blossoms in full bloom on the Koiwai Farm in the spring, with Mt. Iwate Fuji (also known as Mt.Iwate) in the background. This beautiful tree is said to have been planted some 100 years ago. In his much-examined travelogue, Marco Polo recounts his own obsession with a legendary land of gold called Zipangu, which is now thought to refer to the Tohoku region of Japan, namely Iwate Prefecture. 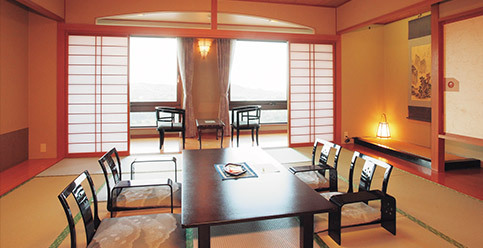 Iwate has been home to a rich culture for centuries. The Konjiki-dō or 'Golden Hall' at Chūson-ji Temple has a recorded history stretching back one thousand years. More recently, Iwate was the location for one of the more unusual success stories following the drive to industrialize and modernize Japan. 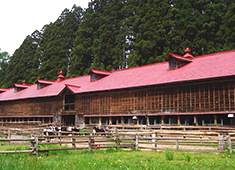 Iwate is the site of one of Japan’s largest privately-owned dairy farms, Koiwai Farm. The farm encapsulates coexistence with nature, one of the most important challenges that we face today. 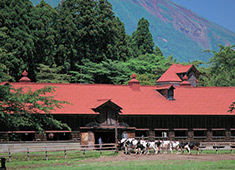 So come and visit us at Koiwai Farm – and take the opportunity to have unique experiences that can only take place here. 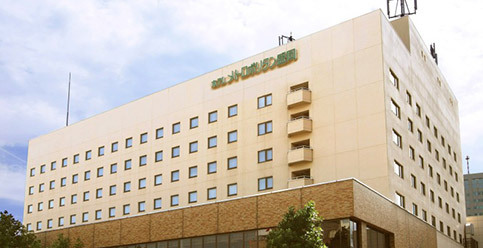 Iwate Prefecture can be divided largely into four areas – northern, central, southern, and coastal districts – with regard to the cultural and historical development of the region. The northern part of Iwate Prefecture has its southern border running along the interior of the prefecture, and the northern parts of the coastal district shares similar geographical features. The region is home to an important Buddhist temple in Tendai-ji, as well as the Joboji-nuri lacquerware technique, which has been known for the quality of its deep lustre since the 7th century. Kuji Amber, which hails from this region, is an important cultural artifact and the ocean waters just offshore provide some of the best seafood in the country. 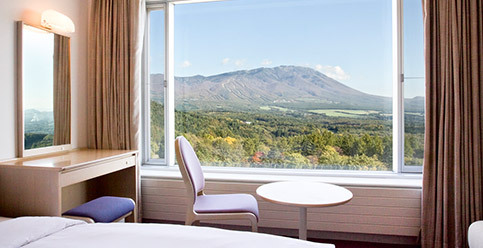 The central district of Iwate Prefecture is home to some of the best scenery in the region. Visually the landscape is dominated by rolling fields of crops and the local delicacies are known far and wide. 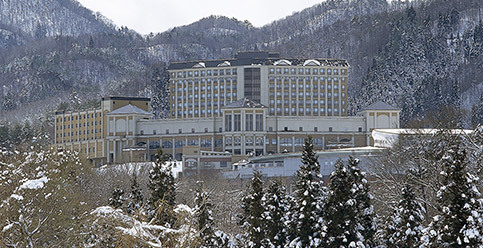 The largest city in the region, Morioka, is situated here, and the area is also home to natural hot springs, which has provided a place to bathe and relax for Iwate residents for centuries. 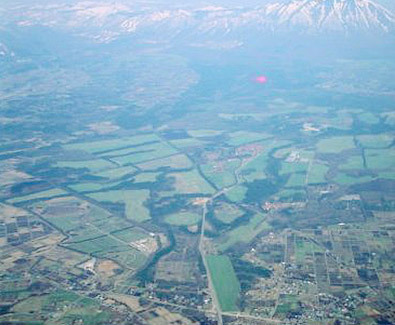 The southern part of Iwate Prefecture is the industrial and farming heartland, as well as being home to a number of historically significant sites. 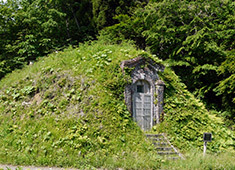 The area around Hiraizumi, in addition to the writings held at Chusonji and Motsuji are just some of the rich cultural and architectural sites of importance in the area. This is a great region to visit if you are looking to become familiar with the history and culture of Iwate. Iwate Sanriku – another name for coastal zone famous across the nation as a whole - is where some of the best seafood in the country is caught and sold at market. This stretch of coastline, from the north to the south, has its own distinct stories and specialities when it comes to seafood, however visitors to the area are often surprised at how striking the coastline scenery is. An experience not to be missed! Mt. Iwate into beautiful verdant scenery – an Art Museum of the Great Outdoors. 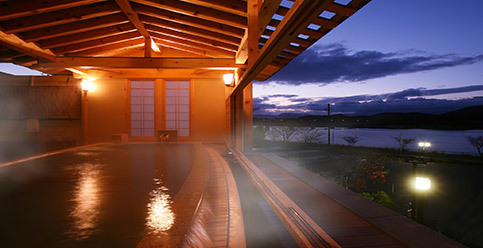 The great Japanese poet and writer of fairytales Kenji Miyazawa saw Iwate as a pastoral ideal. 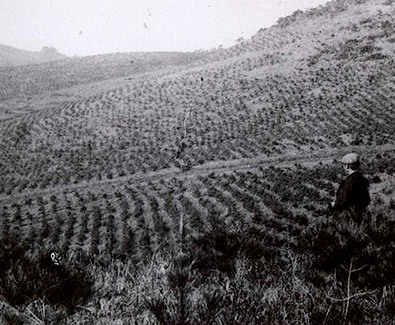 Miyazawa also went on to describe the southern foothills of Mt. 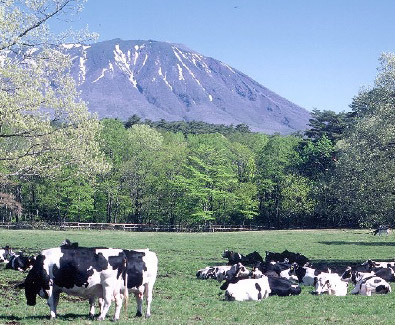 Iwate as a ‘miracle’ – referring to the vast acres of green woodland that took hold over barren volcanic soil, which is where Koiwai Farm calls home. This land was once sterile volcanic ash. Nothing grew here. At the end of the Edo Period, which saw the sun set on the samurai class, Japan embarked on a period of industrial growth and modernization now known as the Meiji Period. Masaru Inoue, a bureaucrat and later to become famous as the “Father of the Japanese Railway” was also a pioneer of the railway in the Tohoku Region. 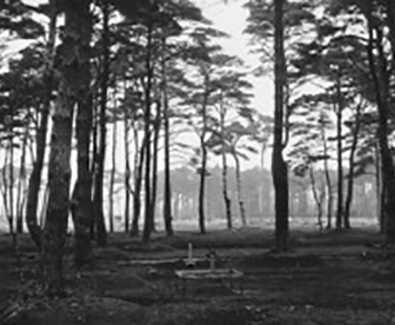 Inoue envisaged green expanses of woodland where others only saw barren soil. 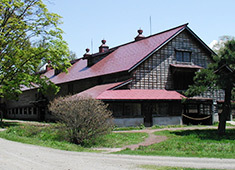 Part of his vision was Koiwai Farm, which was founded in 1891. 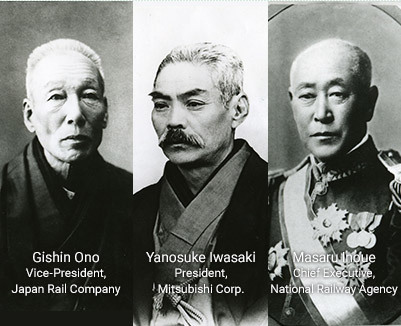 The name Koiwai comes from the Kanji characters in surnames of the three founders – Gishin Ono (the “Ko” 小) was the vice-president of the Japan Rail Company, Yanosuke Iwasaki (the “Iwa” 岩) was the president of Mitsubishi Corp. and lastly Masaru Inoue (the final “I” 井) – the chief executive of the National Railway Agency. 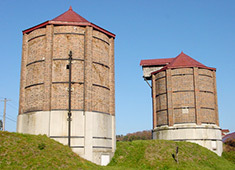 At the time it was founded, the site of the Koiwai Farm was barren land. The founders embarked on a soil improvement program that also involved the planting of countless trees to enrich the soil – a program that continues to this day. 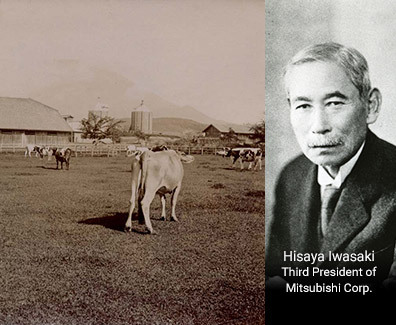 In 1899, responsibility for the still-incomplete Koiwai Farm passed to Hisaya Iwasaki, the third president of Mitsubishi Corp. Iwasaki was passionately interested in the Koiwai project and saw the potential of the Koiwai site as a diary farm capable of providing grazing pasture for dairy cattle. He had vision and saw in his mind’s eye the possibility of creating an ideal farming environment right here in Iwate. 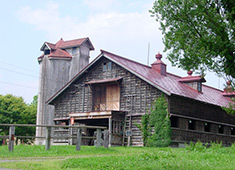 In the 120 years since the Koiwai Farm was founded, the once barren soil is now covered with cedar, red pine, larch, etc. The miracle described by Kenji Miyazawa has become a reality, with contented dairy cattle grazing in the shade of tall trees, alongside herds of sheep. The coops at Koiwai Farm are home to some 60,000 healthy chickens. The vision of Hisaya Iwasaki has proven to be accurate. Civilization leaves its mark on arid land – or so the saying goes. The Japanese, for as long as there have been people living on these islands, are a people who mark the passage of time and significant events, both good and bad, with the planting of trees. They leave a forest for future generations. 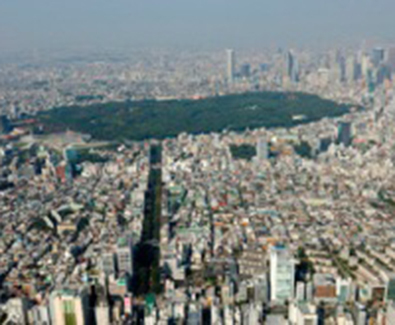 The same can be said of the trees surrounding Meiji Jingu in Harajuku, Tokyo. Koiwai Farm is proud to be part of this continuing Japanese tradition. The fundamental concept behind the design and layout of the Meiji Shrine and grounds was a ‘forest that seems to stretch on and on forever. The trees should be, as much as possible, the same as woodland in nature.’ Koiwai Farm has taken the same attitude and approach to reforestation in Iwate. Since the first trees were planted over 120 years ago, Koiwai Farm has overseen something of a miracle as a forest was born to create an ‘Art Museum of the Great Outdoors’ – come see for yourself! 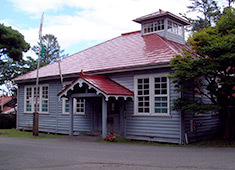 Since Koiwai Farm was founded in 1891, the farm has built up over 100 years of history and is now home to several Japanese Important Cultural Assets, as mandated by the Government of Japan. 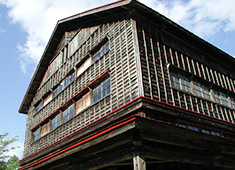 these buildings have been preserved as they represent important steps for Japanese architects and builders as they learned and put into practice western design and construction techniques. Why not take a tour round some of these historically and architecturally important buildings and structures? 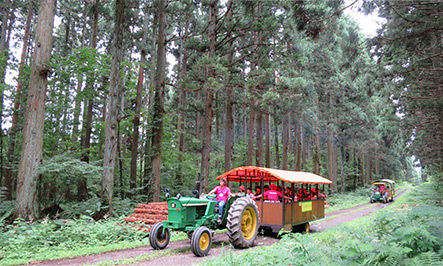 We will arrange a bus that will take you round Koiwai Farm where you will have the chance to visit production facilities that are normally not open to the public, along with several buildings named as Designated Cultural Properties. This bus tour is a unique opportunity to see, feel and touch 120 years of history at Koiwai Farm, from the dairy buildings through to the woodland, the hallmark of quality and care can be seen everywhere. Please do not worry about the language barrier on this tour – even if you do not understand Japanese this tour is a great opportunity to witness first hand and photograph some historically significant structures as well as beautiful scenery. ※Entry Ticket Included & Specials for you! at this unique location. Click through to see some of the wonderful scenery of the region. The other name of the imposing mountain Mt. Iwate that overlooks Koiwai Farm is “Mt. Iwate-Fuji”. The tallest peak in the northern Tohoku Region at 2038m, the beauty of the mountain has to be seen to be believed. Mt. Iwate is fully deserving of its moniker referencing Mt. Fuji, the most important of all Japanese mountains. One of the most striking vistas in Japan is the majesty of the snow-capped mountain in spring as seen from Koiwai Farm as the cherry trees begin to bloom. Mt. 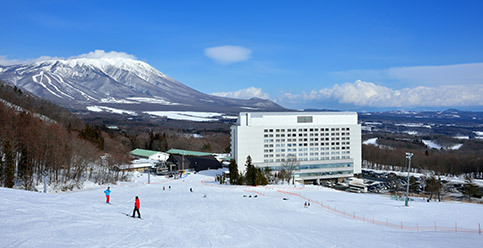 Iwate Fuji has been venerated as a sacred peak since ancient times. On the various paths up the mountain one can find several stone Buddhist statues. Looking northeast from the peak, one can see a range of mountains stretch out into the distance. Hiking in the region is one of the best ways to get closer to the ancient history and culture of Japan. 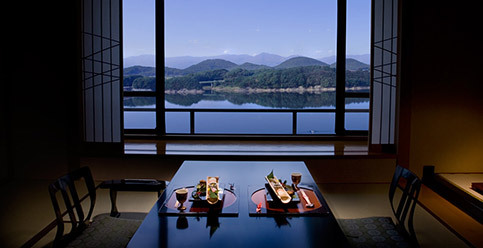 dishes in Japan awaits you at Koiwai Farm. Omurice combines an omelette, one of the most well-known egg dishes in the world, with rice flavored with small morsels of chicken. 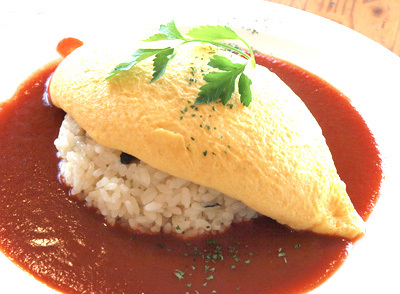 Omurice – created in Japan – is where rice meets omelette. 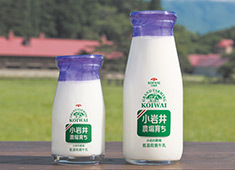 At Koiwai Farm, we replace the chicken with our signature product, namely fresh milk, to create milk-rice. This is combined with freshly-laid eggs from our chicken coop to create a unique take on the omurice concept. The omelette has a light texture due to the fresh eggs fried in our own butter – try this dish and you will soon see why the Japanese have come to love omurice! 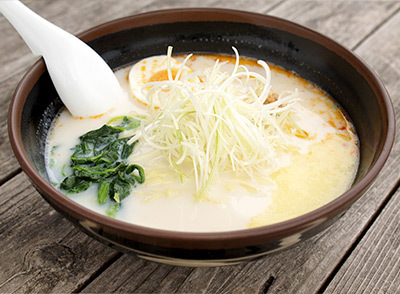 One of the most popular dishes in Japan is ramen. It seems like each region – maybe even each town in Japan has its own special take on this noodle dish. So it makes perfect sense that Koiwai Farm would have its own special version of ramen! This dish is a subtle blend and balance of great dashi stock, ramen noodles and excellent quality fresh milk direct from Koiwai Farm. This is a popular item on our menu and if you consider yourself a ramen aficionado, you simply have to give it a try! 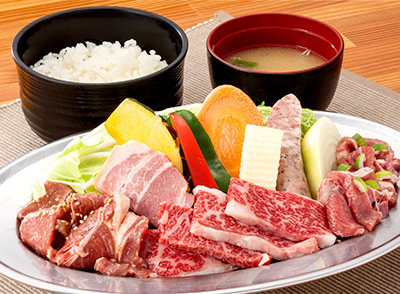 Japanese meat has an enviable reputation around the world for quality and flavor. Lamb and Koiwai beef are both well-known as diet-friendly meat options, as well as for their beauty-enhancing properties. This is the ‘soul food’ of Japan and is often enjoyed with a light miso sauce. Alternatively, thin slices of fresh lamb or beef can be eaten with egg and a slightly sweet sauce in the sukiyaki style. As the locals say here: Don’t just stare at it, get stuck in! 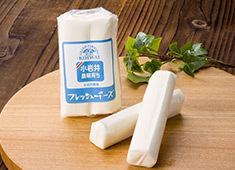 Koiwai Farm is blessed with rich, fertile soil that helps us produce wonderful dairy products, such as eggs, vegetables and of course milk that we use to make cheese, pastries and the oldest, well-known dairy brand in Japan. Stores in the farm are always up for a visit! Board a passenger car pulled by a tractor, and tour the forest area that is closed to the general public. Feel the breeze on your cheeks, take n the smells, and experience farm's extraordinary nature. The Koiwai Farm Forest is home to many different species of flora and fauna – it really is the essence of what makes the Japanese forest special. On the nature trek, visitors can experience the beauty and majesty of the four distinct seasons, the flora in bloom and the vast diversity of wildlife that calls the Koiwai Forest home. Our dedicated guides will ensure you do not miss a thing during your trek. 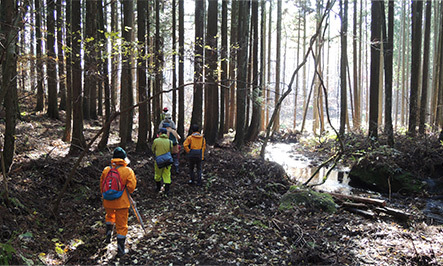 This is a wonderful experience for those looking to encounter the Japanese forest first hand. 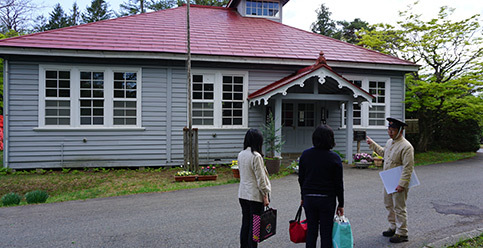 The farm and outbuildings at Koiwai Farm help tell the story of this institution. 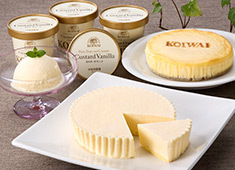 Back in 1901 Koiwai Farm started with the introduction of dairy cattle from Holland. 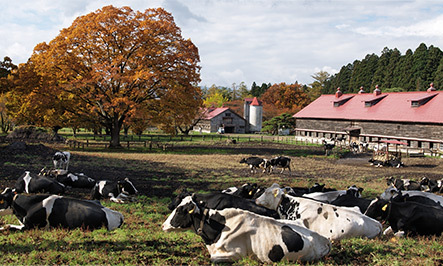 Repeated success with selective breeding allowed the owners of Koiwai Farm to supply the rest of the country with dairy cattle, and now the farm is one of the modest modern and well-equipped in Japan. Around 300 head of cattle are currently resident at the Kamimaru Dairy. These are the finest dairy cows and it is their milk used in the dairy products sold on-site at the Koiwai Farm shop. Shuttle service from Morioka Station is available. Please ask the hotels for a service to pick you up! Transfer to the Shinkansen (Bullet Train) to Morioka Station. The bullet train journey takes just 40 minutes. 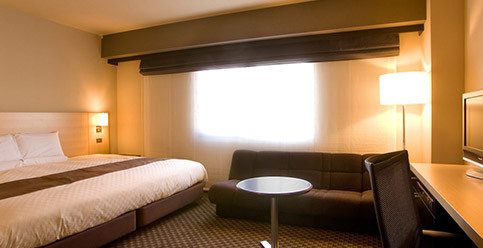 Take the Shinkansen (Bullet Train) from Tokyo Station to Morioka Station. This journey takes 2 hours 10 minutes. - Locate Bus Stop #10 for the Amihari Onsen Line. 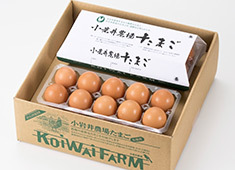 This is a direct bus service to the Koiwai Farm. Travel time is 40 minutes and the adult fare is 700 yen (children: 350 yen).